There is something so great about owning a completely unique record. Something that no one or hardly anyone owns. 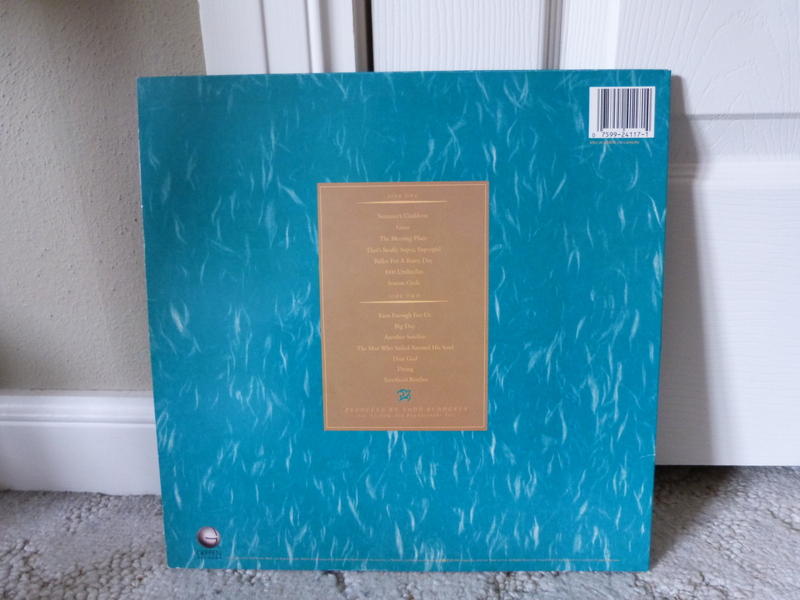 That, in my collection, is this promotion version of XTC’s 1986 album Skylarking. This semi-concept album full of lovely imagery. The opening tracks “Summer’s Cauldron’ and ‘Grass’ are both personal favourites. Although, “Dear God” ended up being a big song for the band, even if it didn’t chart well initially. Beats me why anyone likes it because this song is pretty eudeous. I really don’t listen to this album compared to some of their earlier bits because it can be a bit thick in the middle. But whenever I go through my collection and spot this little gem, I can instantly remember how it ended up in my hands. Being a radio DJ was always one of my dream jobs (though I would be terrible at speaking on radio because I’m terrible at speaking period). There was a married couple in Wisconsin that would DJ every weekday morning on my way to work. They played strictly 80s music and they were always spot on. I grew so attached to listening to those two every morning. One morning I heard a promotion that their radio station was doing a yard sale of sorts. My mom and I drove out there together to take a look-see. There were boxes and boxes full of all sorts of wonders. It was a predominately classic rock station which means they pretty much could carry whatever they felt like. I thought it would be something no one in the area would be interested, but I was completely wrong. The place was rammed with people picking through records, posters and other various objects (including cardboard cutouts of musicians like Alice Cooper). Being late to arrive in the morning (Wisconsin people are morning people, I guess), most of the stuff had been picked over. Thankfully most people back home enjoy the more metal side of life, leaving all the weird bits for me to pick up for myself. I definitely didn’t leave empty handed. This copy of Skylarking is from that haul. One of those stamped promotional copies that says “Not for resale” but everyone resells anyway. 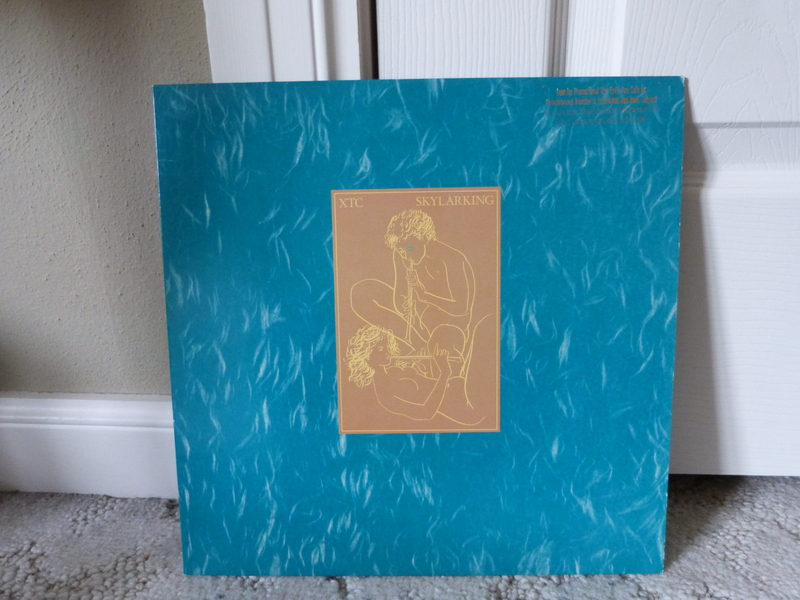 I wouldn’t say that this would make my favourite XTC album, but owning unusual copies of albums is my weakness. I like that this little number lived its life out in a radio station, even if I can’t. Great story and an absolutely marvellous album. So very jealous – I’d commit, er, well something pretty serious to get this on vinyl. It sounds fantastic on vinyl. Definitely worth doing something pretty serious for!